Granted exceptional-player status in 2012 by the Ontario Hockey Foundation following a review by Hockey Canada, McDavid was able to enter the Ontario Hockey League at age 15, a year earlier than typically permitted. As a member of the Otters, McDavid made regular trips to Pittsburgh to watch Crosby play. After being picked first on 147 of 167 Hart Trophy ballots this year — Crosby was first on 14 — McDavid became the third player to earn M.V.P. honors before his 21st birthday, after Crosby and Wayne Gretzky. By winning the Hart Trophy as well as the Art Ross Trophy as the N.H.L.’s leading scorer and the Ted Lindsay Award for league M.V.P. as voted by its players, McDavid, at age 20, may have already bridged the gap between himself and his childhood idol. But in the hours before the league’s awards showcase began, McDavid didn’t see a potential Hart victory inching him any closer to Crosby’s legacy. 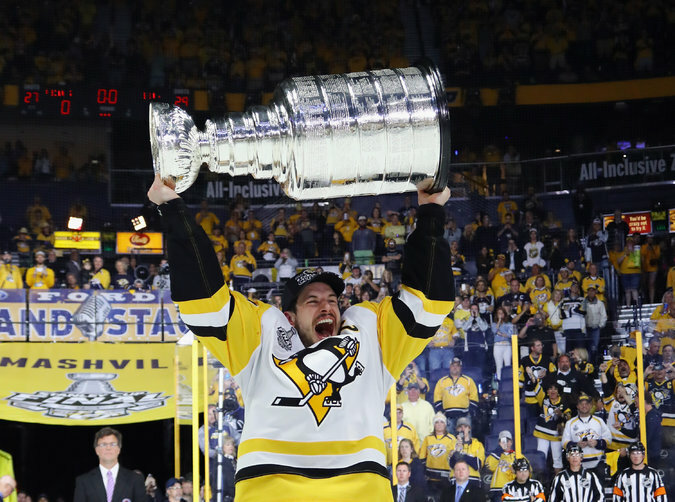 Sidney Crosby raised the Stanley Cup for the third time earlier this month when the Pittsburgh Penguins defeated the Nashville Predators.